In Spain, almost 50% of households have pets. Most of these are dogs and cats that are considered regular family members. Today, we invite you discover the meaning of two popular Spanish expressions related to our beloved felines. Click here to read this post in Spanish. Cats have a magnetic personality. From antiquity, these animals have inspired stories, superstitions, and legends. And really, who likes seeing a black cat cross their path at nighttime? Spanish has many sayings dedicated to these furry creatures. Let’s learn a couple of them! How many lives does a cat have? 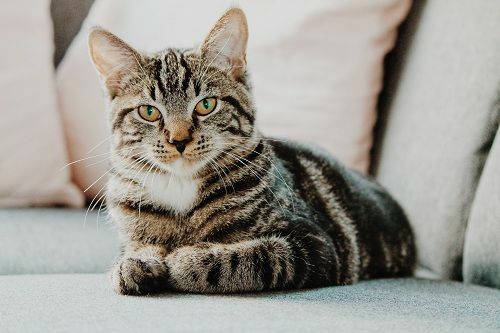 In Spanish, Italian, Greek, and other languages, cats are said to have seven lives. However, an English speaker will tell you they have nine lives, while Arabic tradition states they have six. Where do these beliefs come from? 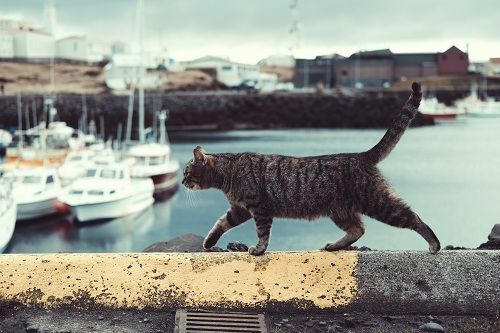 First, cats are extraordinarily agile and can endure just about anything. They’re able to always land on their feet and easily avoid or emerge unscathed from falls and accidents. That’s why they are known for having several lives. The jumble of different numbers of lives we find in different languages is due to purely symbolic reasons. In Western culture, the number seven is related to good luck and even a touch of magic. Meanwhile, in ancient Egypt, the number nine was linked to the gods. Here’s a fun fact: years ago, there was a popular show on Spanish TV called 7 vidas or 7 lives. It took place in a neighborhood in Spain’s capital city… Do you know a colloquial name for people who live in Madrid? That’s right: gatos (cats). Today cats are a common pet, but it wasn’t always that way. In 17th-century Spain, for example, cats were street animals that no one cared much about. The Spanish saying about a locked-up cat (gato encerrado) dates back to this period. No entiendo por qué nos ofrecen este descuento. Aquí hay gato encerrado. I don’t understand why they’re offering this discount. There’s a locked up cat in here (There’s something fishy going on here). As you can see from the example above, this expression is used to express distrust or a suspicion you’re being tricked. To understand this saying, we have to forget about the modern image we have of an affectionate, cuddly creature and go back a few centuries. When cats were nothing more than street animals, their skin was sometimes tanned and made into handbags and change purses. By extension, the word gato began to be used to refer to the place were money was kept out of sight. 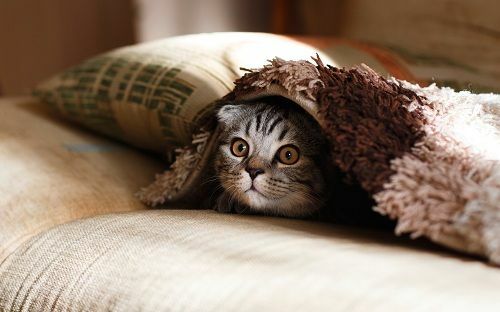 From there, the expression gato encerrado came to mean that someone is hiding something. If you liked today’s overview of Spanish sayings with gato, don’t miss the following video. In it, you’ll find lots of other expressions with animals to enjoy. 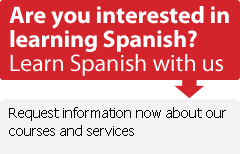 Learn Spanish while having fun!